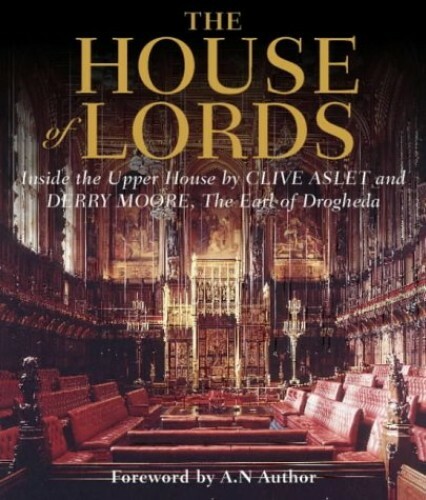 Derry Moore's exclusive colour photographs and Clive Aslet's authoritative text provide a sumptuous architectural and historical appreciation of the Upper House. Derry Moore's exclusive colour photographs and Clive Aslet's authoritative text provide a sumptuous architectural and historical appreciation of the Upper House. INTRODUCTION A perspective from different peers, for example, Lord Hurd, Lord Patten, Lady Marr, Lord Ferrers, etc. THE BUILDING AND ITS TRADITIONS This describes the architecture in detail; how Barry and Pugin arrived at the final designs. Also, the traditions and procedures of the Upper House - for example, the Lord Chancellor's Procession, the Woolsack. ITS HISTORY The history as the Victorians saw it. Every square inch of the Palace of Westminster symbolises the Victorians' sense of their past, surviving as part of a continuous tradition of democracy. This chapter would examine the key points that the Victorians sought to emphasise, in the light of modern historical knowledge. KEY EVENTS The key events that shaped the House of Lords up to the present day - the Great Reform Act, the 1911 debacle with Lloyd-George, WHAT THE LORDS DO TODAY An analysis of the function of the chamber. Discussion of the alternatives, with reform in mind.